Greenhouse Effect Paragraph: Greenhouse effect is the gradual warming of air surrounding the earth as a result of heat being trapped by environment pollution. It is a dangerous reactive type of effect that influences our nature violently. 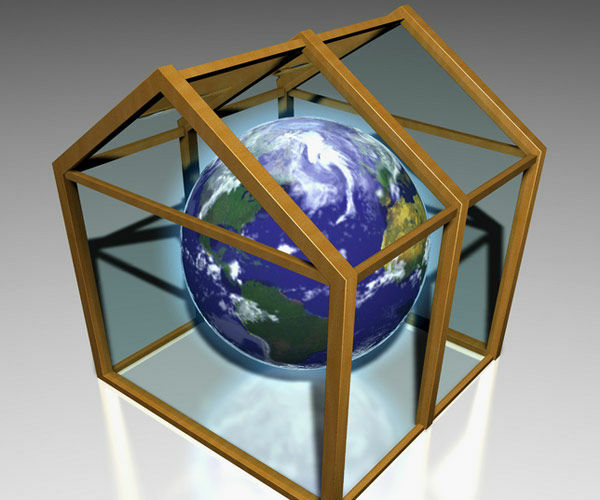 There are many causes of greenhouse effects. The deforestation and burning down of the tropical forests, rapid growth of unplanned industries, overpopulation, pollution, the use of CFCs, the use of detergents, increase of temperature etc. are the causative actors of greenhouse effect. However, the major factor of greenhouse effect is carbon dioxide. Greenhouse effect causes natural imbalance. It is dangerous for living creature on earth. As a result of greenhouse effect temperature will rise to a great extent. So, the ice in the arctic region will start to melt. Many islands, cities near the sea, many parts of the world will go under water of the sea. This will also catastrophically reduce mankind’s ability to grow food, destroy or severely damages wildlife and wilderness, raise sea-levels and thereby flood coastal areas and farmland. The alarming news about Asian countries is that as a result of the rise of the sea-level, the lower southern part of Asia may one day go under water. So measures should be taken to prevent such an undesirable situation.